The Moab & The Back of Beyond Tour delves into the heart of redrock canyon country of Southeastern Utah and Southwestern Colorado. 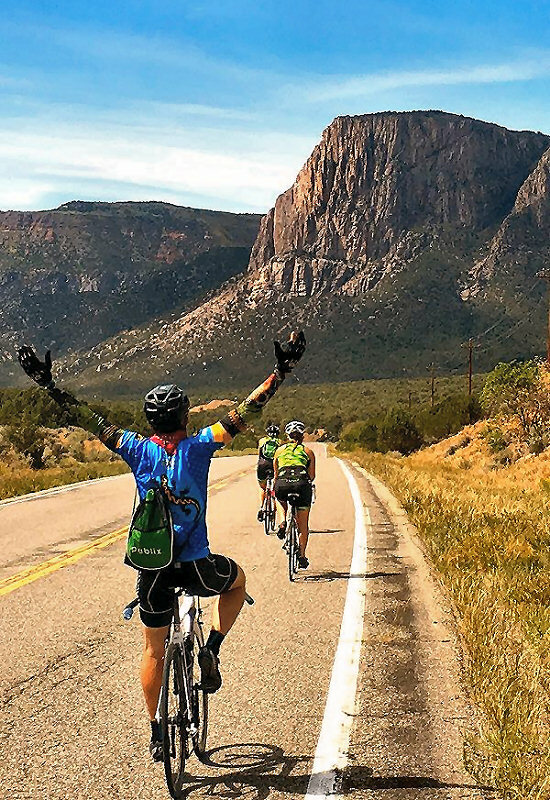 Ride through the supernatural landscapes of Arches & Canyonlands National Parks, climb the scenic La Sal Mountain Loop and pedal beneath 800-ft redrock sandstone walls along the Colorado River. To end the tour we now spend two nights at the spectacular Gateway Canyons Resort (nights 5 & 6)! 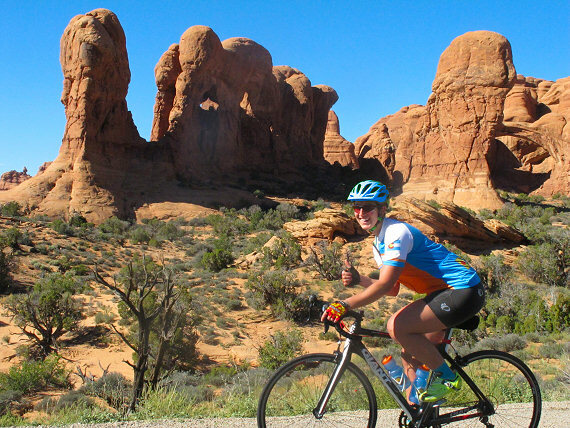 Join Lizard Head Cycling for 4-days or 6-days on the Moab’s Back of Beyond Bike Tour. See tour dates below for potential departures. The Best of the West in Our Backyard! “The Best of the West” The Moab & The Back of Beyond Tour is located in Lizard Head Cycling Guides’ backyard. We know and love this area! 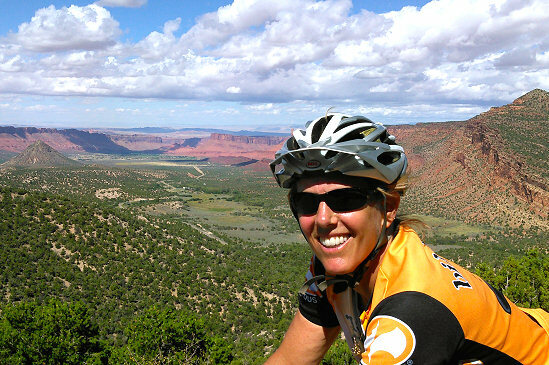 Ride with Lizard Head Cycling to enjoy local’s knowledge of the best rides, lodges and dining in red rock canyon country. 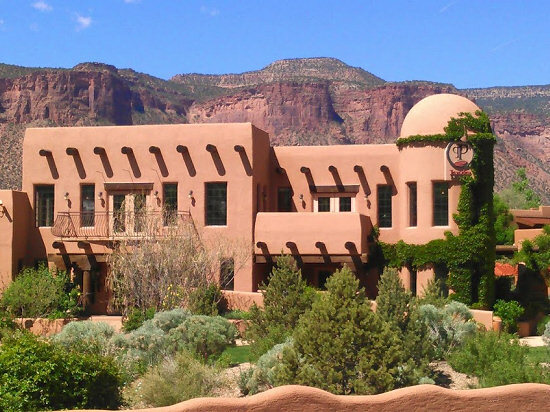 The 6-day Moab & The Back of Beyond bike tour includes six nights of lodging that includes two nights at the spectacular Gateway Canyons Resort. VIEW PHOTOS of the Moab & The Back of Beyond Tour. Enjoy the views minus the bustle… Minimal vehicular traffic makes these routes are a true pleasure. Super-Natural-Geology The pure geography on this region leaves one awe-struck. 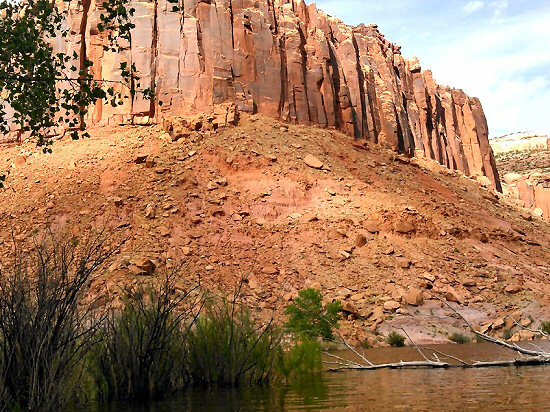 Although located in a desert region, the Moab & The Back of Beyond Tour meanders along two of the great rivers of the southwest: the Colorado and Dolores rivers. 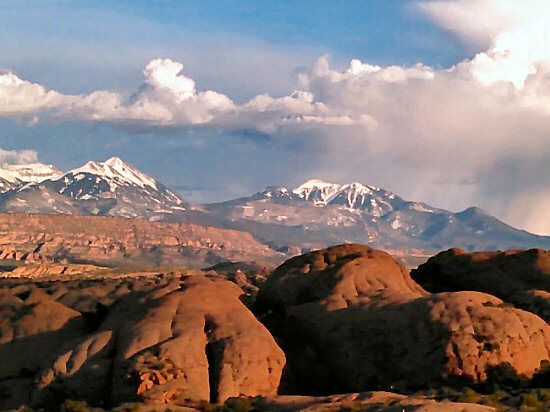 Additionally the Moab & The Back of Beyond Tour boasts views of multiple mountain ranges including: the La Sals, Abajos, Henry and San Juan Mountains. Arches National Park is home to more than 2,000 natural sandstone arches including awe-inspiring pinnacles, massive fins and giant balancing rocks. Author Edward Abbey captured its beauty working as a seasonal park ranger in the 1950s in his 1968 memoir Desert Solitaire, a true classic read for Utah’s red rock desert and canyon country. The Devils Garden Trail in the furthest reach of Arches National Park boasts some of the park’s largest arches, or more scientifically speaking, largest series of rock fins broken from the earth through erosion. Strong red rock formations they are, but they are not immortal. The Wall Arch recently collapsed in 2008. Dead Horse Point State Park (Day 2) is named so for its history as corral grounds for wild mustangs roaming the high mesas where the mesa edges which drop to deep canyons made it feasible for cowboys to pen the animals. Dead Horse Point is one of the world’s most photographed panoramas. The Manti-La Sal National Forest (Day 3 & 4) is home to the La Sal Mountains and is part of the southern most Rocky Mountains. En route across the Colorado Plateau from Santa Fe, N.M. to Los Angeles, Calif., the Spaniards named this cluster of 11,000 and 12,000-foot peaks the Sierra La Sal or “Salt Mountains”. 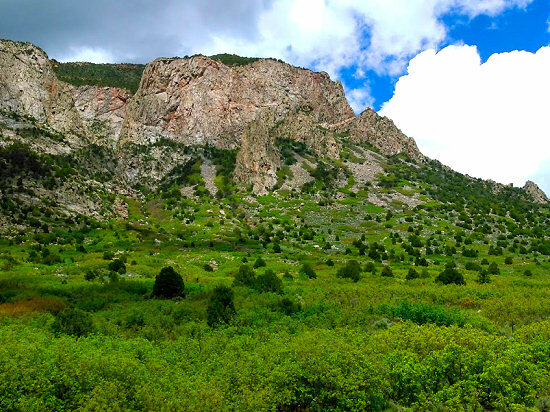 Mount Peale is the highest point in the range reaching 12,721 feet. The Paradox Valley (Day 5) reaches 25 miles long and five miles wide; vast is a more than apt adjective to describe this valley located on Colorado’s western edge abutting the Utah border. 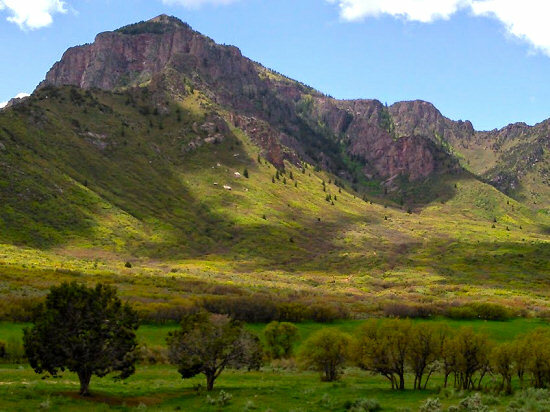 The Paradox Valley is lined with 1,000-foot high red cliffs and home to range lands and sage with the exception of the more lush environs in the town of Paradox. 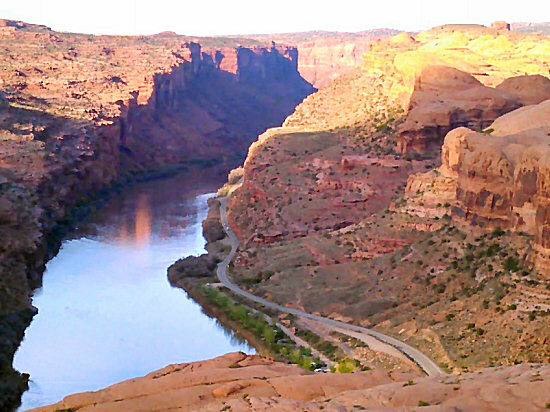 The paradox: the Dolores River runs across the valley, not through it as nature would intend. “Most Beautiful miles ever Ridden”: Dropping out of the San Juan Mountains, the Dolores River runs to the confluence of the Colorado River near the Colorado-Utah border. 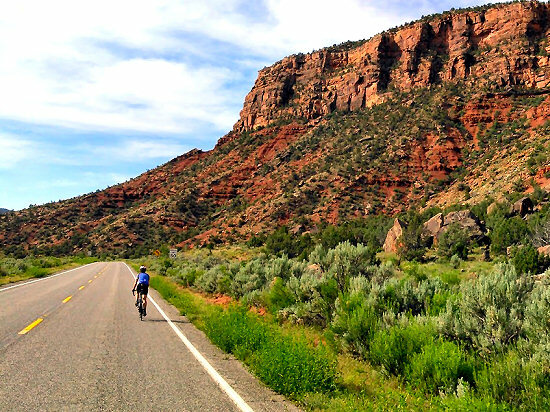 The 35-mile Dolores River Canyon section of Day 5’s ride is considered by previous guests of Lizard Head Cycling as one of the “most beautiful” rides they have ever done. 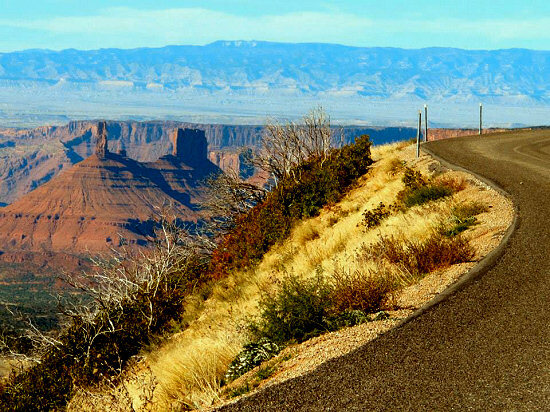 Indian Creek & Needles are #3 on Our Top 10 Roads! NOTE: Any of the Moab & The Back of Beyond tour dates can be opened as either a 4-Day or a 6-Day tour. Whoever opens the tour first determines if it is either a 4-Day or a 6-Day version. Single Room Supplement: For 6-Day Tour, add $550- total to the Tour Cost for a private room on all nights of the tour (6-nights). For the 4-Day tour , add $290- total to the Tour Cost for a private room on all nights of the tour (3 nights). 4-Day Tour Includes: 3-nights of lodging, 4-days of meals, guide service, shuttle to and from the Moab region, entrance fees, daily lunch en route, energy food, liquid refreshments and mechanical support. Alcoholic beverages, massage & bike rental are additional. Nights 1 & 2: Gateway Canyons Resort, Gateway, Colorado. Nights 3 & 4: Hotel Moab Downtown:, Moab, Utah. Night 3: Hotel Moab Downtown, Moab, Utah. Meeting Hotel: Both Moab & The Back of Beyond Tours meet and end at Courtyard Marriott in Grand Junction, CO. If staying at the meeting hotel pre-tour or post-tour, reservations should be made in advance. Use this pre-loaded rate code to make a reservation at the Courtyard Marriott ($94/night) or call direct at 970.255.6003. NOTE: Another good option is the Clarion Hotel (mention Lizard Head Cycling) located 1/4 mile from Marriott. Both hotels have airport shuttles. The Clarion will deliver guests to the Marriott. After a morning meeting at the Courtyard by Marriott Grand Junction and a quick shuttle from Grand Junction, we begin our Moab & The Back of Beyond Tour with a ride start along scenic byway Highway 141 into the intimate confines of Unaweep Canyon – a geologically unique canyon that cuts across the Uncompahgre Plateau. 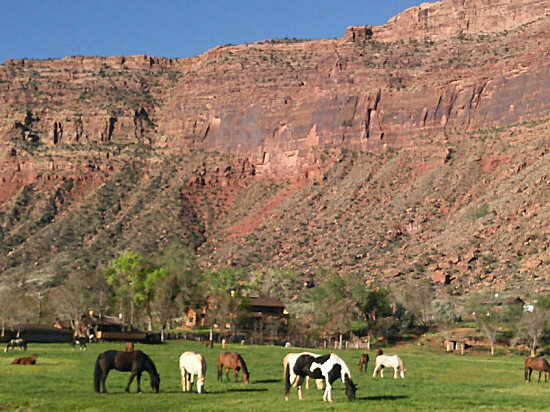 The route offers over 3,000-feet of climbing with a lunch at the Gateway Stables. After lunch enjoy a long downhill into Gateway, Colorado where we stay at the amazing Gateway Canyons Resort. With a layover day at the Gateway Canyons Resort, there are two ride options offered this morning. The first is to pedal 30-miles round-trip up and down Highway-141 through magnificent Unaweep Canyon to Gateway Canyon Resort’s Stables. In the spring and after rain storms there are multiple waterfalls on the west side of the canyon. Look for a waterfall near milepost 122 and then again near milepost 132 at Fall Creek. E.F.I. riders will also have the option to Reach the Summit by riding a few miles past the stables to the route’s high point and turnaround point at the Unaweep Divide to extend the ride which makes for a 47-mile round trip road ride. After the morning ride on this layover day make certain to visit the amazing auto museum in the afternoon or to lay pool side at one of the two pool complexes. 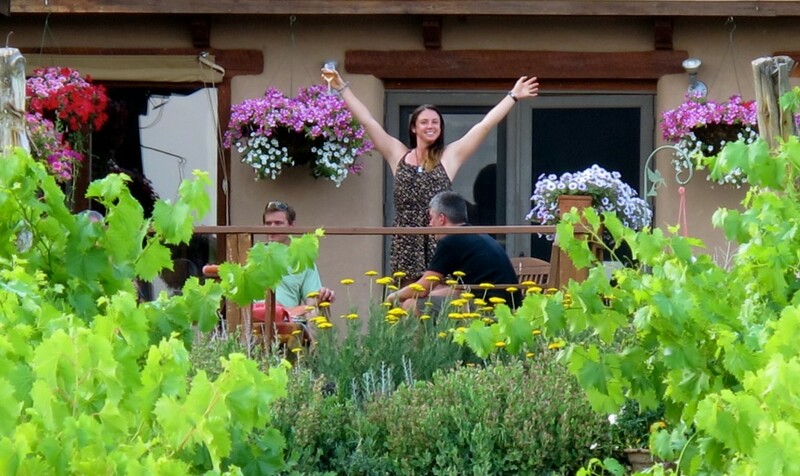 Gateway Canyons Resort is simply one of the most beautiful, luxurious, and relaxing resorts in the Western US. The riding on this day continues following the dazzling scenery of scenic byway Highway 141 southward into Dolores Canyon. The first 30-miles of riding from Gateway Canyons resort are beneath 1,500-foot Redrock Canyon walls and many of our guests have called this section the “most beautiful ride” they have ever enjoyed. It is quite simply one of the most stunning roads in the country. After reaching the confluence of the Rio Dolores and the Rio San Miguel the route heads west through Paradox Valley. The Standard ride ends at the famed Bedrock Store (circa 1881) and the E.F.I. ride ends just across the border into Utah in Old La Sal. From here it is a short shuttle to Moab, Utah to our accommodations and a well deserved dinner. Todays route takes us early morning from downtown Moab, along paved bike trails past Arches National Park, and then up a 2,000-foot climb along Dead Horse Mesa Scenic Byway. Along the way we pass through deep canyons and quirky desert landscapes climbing to the top of a plateau to our destination of Dead Horse Point State Park. From here are magnificent and breathtaking views of the Colorado River just below and then Canyonlands National Park, the La Sal Mountains, and the Abajo Mountains in the far southern distance. Reversing course from Dead Horse Point State Park we descend back down the morning climb along Dead Horse Mesa Scenic Byway and it becomes a screaming downhill… woo hoooo! Standard route riders shuttle back from the bottom of the descent and E.F.I. riders have the option of riding the remaining 13 miles back to our lodging in Moab. Our desert-canyon tour turns massif country, if just for one day, as today offers its riders the stunning La Sal Mountain Loop Road. The ride starts from downtown Moab proceeding south through Spanish Valley and then onto La Sal Loop Road just as we past Kens Lake. 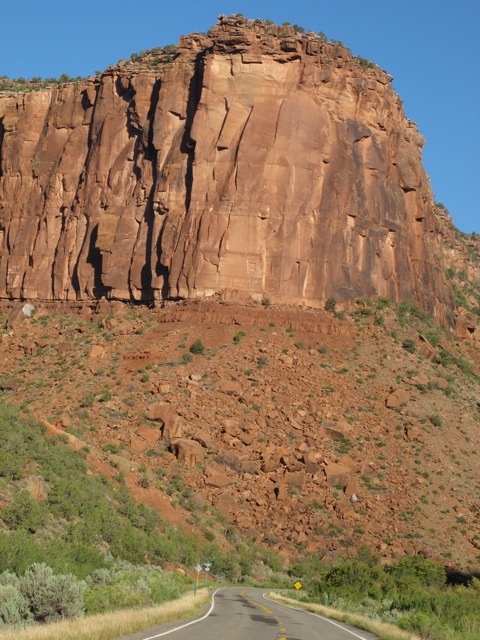 Soon the climbing starts as we ascend from desert into sub-alpine scrub terrain with rolls, turns, twists, and sometimes hairpins, through the La Sal Mountains and 100-mile views. 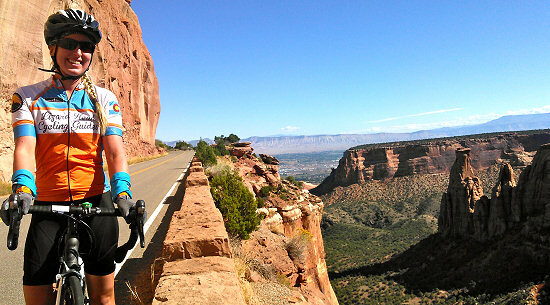 Upon topping out at the spectacular vista atop the La Sal Mountain loop cyclists will enjoy lunch with a view. 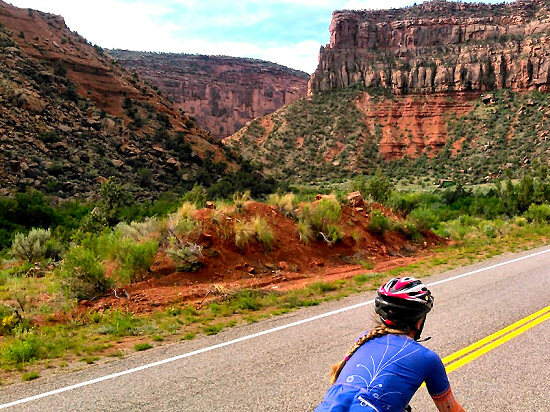 The descent that follows into the stupendous scenery of Castle Valley is simply breathtaking as we drop nearly 4,400-feet along the last 18 miles of the ride to end at Red Cliffs Lodge along the Colorado River. The final riding day of the Moab & The Back of Beyond Tour serves up a classic two stage ride through the striking redrock-desert geography. 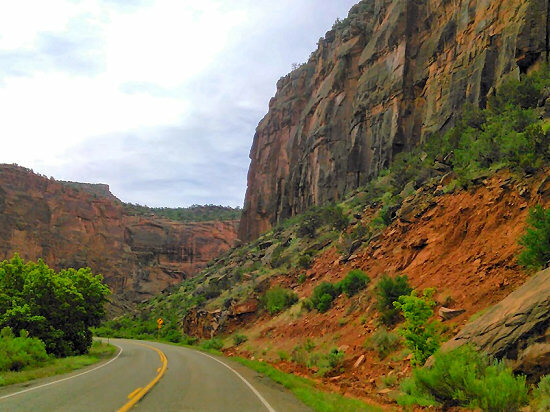 From our lodging at Red Cliffs Lodge we head out along State Route 128, or “The River Road,” which follows the southern bank of the Colorado River through a narrow, steep, and spectacular gorge lined in sandstone walls. This route offers minimal elevation gain-loss and moderate mileage. After lunch we shuttle 50 minutes back to Grand Junction for stage 2 within the Colorado National Monument. The 23-mile drive follows the redrock rim nearly 2,000 feet up a series of canyons above the Rio Colorado. The entire road has been designated a historic district on the National Register of Historic Places and was named by National Geographic as one of the country’s Top 10 Under-Appreciated Parks. At the end of the ride through Colorado National Monument we shuttle a few short miles back to Grand Junction and our final night of lodging at Courtyard by Marriott Grand Junction. It is not uncommon for cyclists on Lizard Head Cycling’s tours to ride their first century with us. Many are surprised by their ability to pedal the majority of miles offered. We have all day to reach the destination. If you have any questions about your ability to ride with us, please contact us today (970.728.5891 or Info@LizardHeadCyclingGuides.com). How the Shuttle Works: Our Moab & The Back of Beyond Tour offers cyclists a challenge while at the same providing easily accessible mileage options for riders of varying fitness levels and desires. Lizard Head Cycling’s tour leaders offer advice and provide cyclists with profiles of each stage. Cyclists customize their experience by reducing overall mileage and choosing to avoid or focus on climbing the big hills of any given day. The system works through a support vehicle that jumps ahead rather then sags to set up aid stations. This allows cyclists to linger at the back and then take a 10-mile, 15-mile or whatever mile “bump” forward to catch-up or get ahead of the group. Many cyclists on Lizard Head Cycling’s tours ride their first century with us and are surprised by their ability to pedal most of the miles offered. If you have any questions about your ability to ride with us, please call us today (970.728.5891). Q-sheets with directions, profiles and locations of aid stations are given out for each stage. 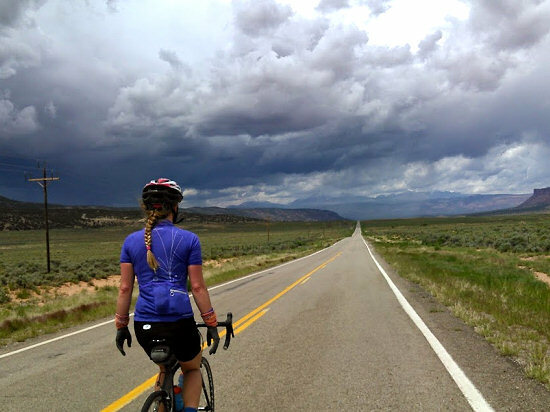 Weather and the Moab & The Back of Beyond Tour: The bike touring experience is really about one’s attitude. In 2010, three of the Redrock Canyons Tours were run in near record heat, near record cold and “perfect weather.” The tours that were run under extreme conditions ended up being exceptionally memorable. It is the “war stories” that are told around the Thanksgiving table five years down the road. Bonding often occurs through adversity creating life long friendships. The weather will do what is does. 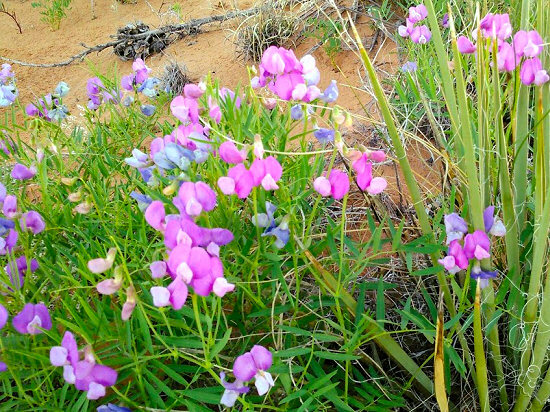 Spring Weather Synopsis: Spring in red rock and canyon country begins in earnest during the month of March with bright warm days and cool to cold nights. By April daytime highs reach the upper 70s with lows in the 40s and 50s. In May, temperatures reach the mid to upper 80s and by the end of the month even low 90s. As the summer solstice approaches in June long days translate into temperatures that are regularly in the upper 80s to mid 90s with nighttime lows in 60s. Early morning roll-outs in June make for memorable sunrises with early afternoon arrivals at the hotels. Through the middle of May spring snow storms can still effect the high mountains above Redrock Canyon Country. The mountains rise 7,000 feet above the desert and as a result the effect of late season storms on sensible weather down in the canyons usually results in 8 to 12 hours of unsettled weather such as wind and thunderstorms. Spring is generally a windier and drier season then fall in the desert. Fall Weather Synopsis: Temperatures in early September are no longer as hot as mid-summer, but can still feel quite warm with afternoon highs reaching as high as the low to mid-90s. By the end of September temperatures are averaging in the mid to low 80s. By the end of October temperatures are usually in the upper 60s to low 70s. (Great weather for long rides). October sunlight is radiant as the slanted post autumnal equinox sun rays sustain brilliant light even at mid-day. In mid-October, the Cottonwood trees along the rivers burn yellow against the azure desert skies. As for the threat of fall rain, from mid-September through October, low pressure systems will occasionally spin through the high mountains 6,000 to 8,000 feet above canyon country dusting the high peaks with the first snows of the coming season. These weather systems translates into about 8 to 10 hours of unsettled weather down in Canyon Country. Weather events in the desert can best be described as brief and intense in nature.